Slack developer Felix Rieseberg has created an app which allows Microsoft Windows 95 to run on Windows, Mac, and Linux. It's available in the form of an electron app. Most things work exactly as you'd expect them to, including WordPad, FreeCell, Calculator and Media Player. 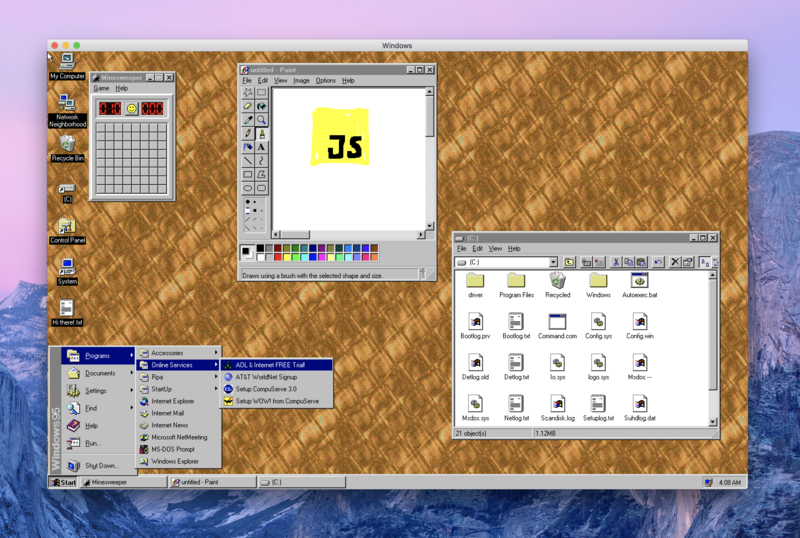 Read the Betanews article here: You can now run Windows 95 on Windows, macOS, and Linux.